John Carter fighting the great white apes of Mars. Yesterday, the day after Christmas, I went to the movies with my family to see the latest Sherlock Holmes movie. 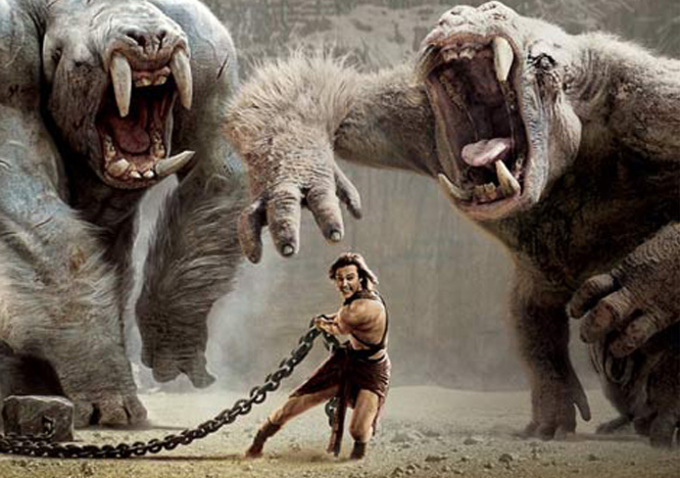 It was great fun, but what really got me excited was the trailer for the upcoming Disney movie, John Carter. Something seemed really familiar about it, and not just the Star Wars aliens. Being a book-before-movie person, I searched Amazon.com for a book by that title and hit pay dirt. John Carter was one of my favorite heroes of the Barsoom series by Edgar Rice Burroughs, better known as the author of Tarzan of the Apes. These are classic adventure stories that I loved as a kid. I can’t wait for the movie to come out. Looks like a blast. The Princess of Mars is also available as an audio-book on CD from my local library. It’s worth taking a look to see if it is in your library. This entry was posted in Library, Reading and tagged Barsoom, barsoom series, edgar rice burroughs, John Carter, Mars, Princess of Mars, sherlock holmes, Tarzan, tarzan of the apes by 1heartle. Bookmark the permalink.